Rooster!!! 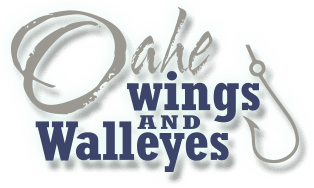 That is one word that you will here again and again when you are hunting in South Dakota with Oahe Wings & Walleyes. 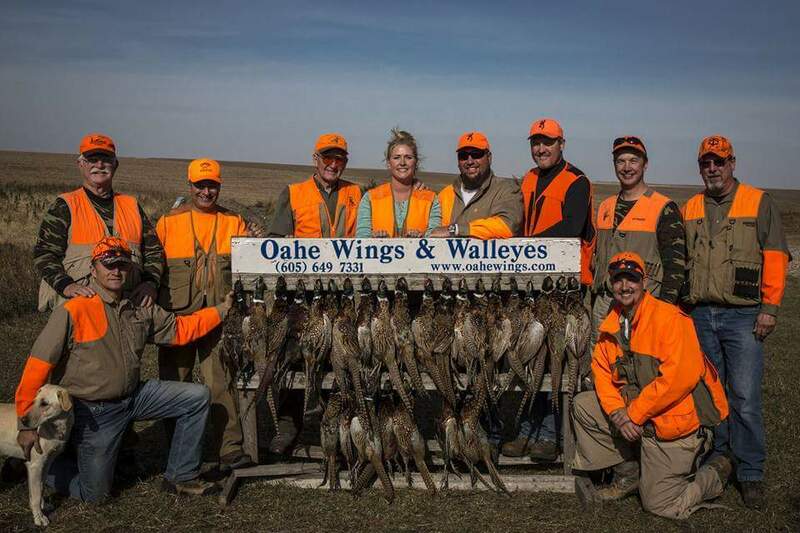 We pride ourselves on providing our customers with a “real” South Dakota hunting adventure with wild birds. Our 10000 private acres of prime, South Dakota pheasant habitat consists of CRP, food plots, managed farm ground, cattail slews, weedy draws and luscious pasture. With the wide variety of habitat, we can accommodate large and small groups. Large numbers of pheasants can be expected, with a chance of harvesting an occasional sharp tail grouse or prairie chicken. We do provide the hunting dogs, but you are more than welcome to bring your own. When on our package, the only expense to you will be your shells, license, and gratuity for guides. Includes: 4 nights lodging,3 full days hunting, meals (hot breakfast and supper, sack lunch), guides, dogs, in field transportation, cleaning, freezing, and packaging of birds.